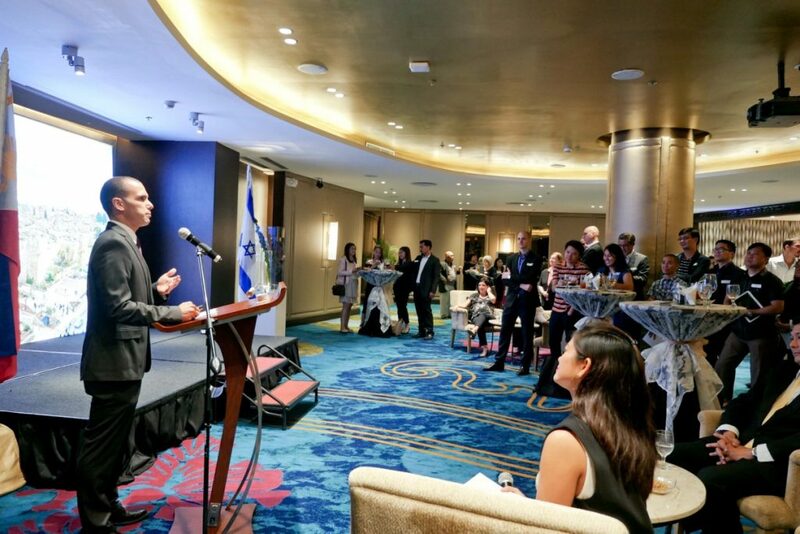 The Israel Chamber of Commerce of the Philippines (ICCP) hosted a cocktail event on the 29th of June 2016 at the Dusit Thani Hotel Manila. Dubbed “To New Beginnings”, it featured the induction of the new Board of Directors and Members, as well as the organization’s 15th General Membership Meeting. The event was open to members and friends of the ICCP. His Excellency Ephraim Ben Matityau, Israel Ambassador to the Philippines, gave the opening remarks after which the new ICCP President, Itamar Gero, gave his address. Staying true to the event’s theme, the ICCP President presented the organization’s vision, plans, and activities for the 2016-2017 term. He also launched the new website of the ICCP. Afterwards, President George Barcelon of the Philippine Chamber of Commerce and Industry (PCCI) shared his insights on the new Philippine President Rodrigo Duterte’s economic policy. To mark new beginnings for the ICCP, the induction of the new Board of Directors and of new Members followed. 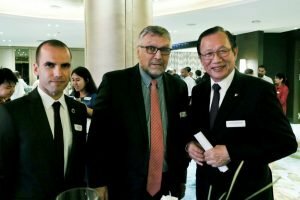 ICCP President Itamar Gero with Israel Ambassador to the Philippines Ephraim Ben Matityau and PCCI President George Barcelon. The new Board of Directors will continue to lead the ICCP in fostering bilateral trade and investment opportunities between the Philippines and Israel, as the organization has been doing since 2009. The ICCP will also continue collaborating with the Israeli Embassy for the promotion of cultural awareness and to contribute to the civic, social, and economic development of the community. Mr. Gero aims to strengthen the organization, which serves as a platform to connect ideas and businesses, as well as to provide mutually beneficial business opportunities. He is optimistic in the further improvement of the Israeli-Philippine relationship in the coming years. 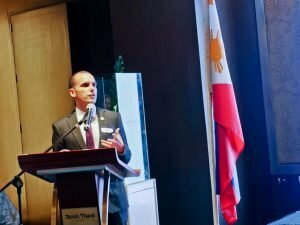 ICCP President Itamar Gero presents the organization’s vision, plans, and activities for the 2016-2017 term in a cocktail event at the Dusit Thani Hotel Manila.